4 L - 6,9 % alc./vol. 1 L - 6,9 % alc./vol. 473 ml - 5 % alc./vol. 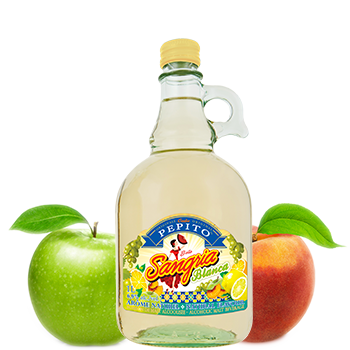 Carlos Pepito Bella Sangria has the rich ruby colour and authentic taste profile of the classic Spanish wine punch. With a fruity bouquet of citrus and hints of brandy and orange liquor, it’s a sure hit as a cocktail or with a meal. Serve over ice with a lemon wedge. 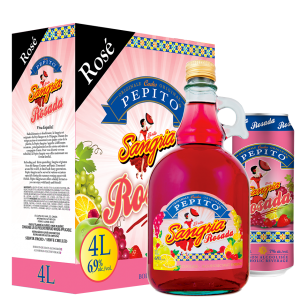 Pepito Rosada is the Sangria with a new twist for all those Rosé wine lovers. With an exclusive mix of essences of red grape, sweet raspberry, sour cranberry and juicy strawberry, this tasty Sangria will be a refreshing drink for any hot summer day. ¡Ole! 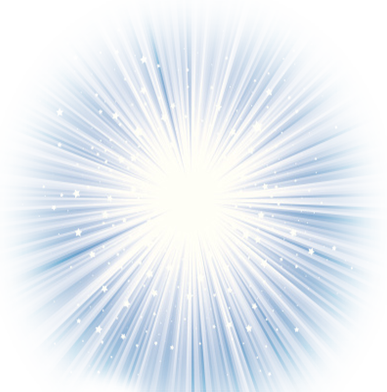 Our traditional recipe is now offered in a version without alcohol. 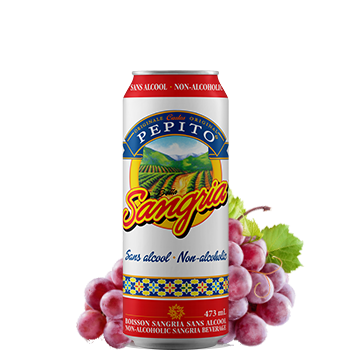 Everyone can enjoy the authentic taste of Pepito Sangria. Serve over ice with a slice of orange. 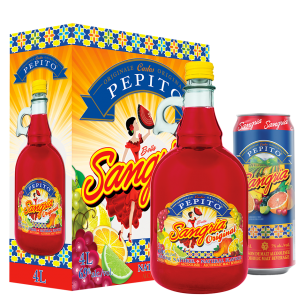 Quebec’s #1 sangria continues to innovate with a new recipe inspired by the famous Agua de Valencia cocktail. 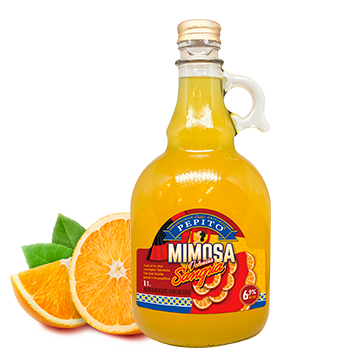 This brand new Pepito Mimosa combines the flavors of white wine and Valencia oranges to create a perfect summer drink.